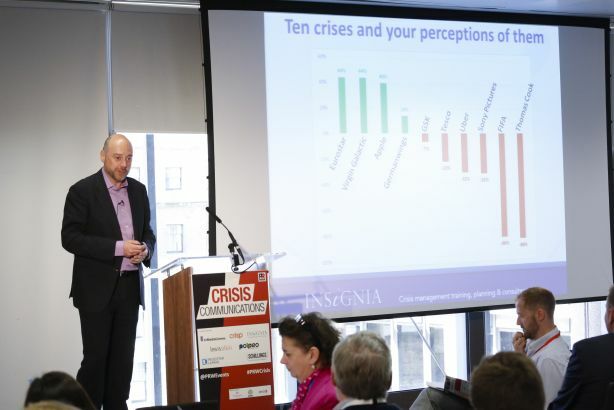 Denial is the "enemy" of crisis management, PRWeek's Crisis Communications Conference heard. Delegates at the conference, which took place in London last week, were asked to rate responses to various crises, from most negative to positive. The incidents involved Apple, Eurostar, FIFA, Germanwings, GSK, Uber, Sony Pictures, Tesco, Thomas Cook and Virgin Galactic. Out of the ten crises, those that had the most negative impact had issues of corporate ethics, trust and integrity as part of the crisis itself or the response. They were FIFA, Thomas Cook, Tesco, GSK and Uber. Jonathan Hemus, managing director of crisis management consultancy Insignia, said: "A crisis involving the culture of an organisation has the most power to damage you. You can only begin to rebuild your reputation if you recognise you have a problem. Denial is the enemy of crisis management." Referring to Tesco's accounting issues, Hemus said it was crucial to "never take a positive reputation for granted". The four crises that were seen as well-managed included two fatal crashes, one product quality issue and a major service issue. The comms response to both the Germanwings and Virgin Galactic crash were viewed positively. Virgin communicated its values to the public clearly through its CEO Richard Branson. "Who is to blame for the crisis is not a cause for positive or negative perception, it's the response that is judged," said Hemus. Similarly Apple's strong reputation and loyal customer base helped soften the blow when complaints arose that its iPhone 6 could bend in pockets.